(Guitar Play-Along). The Guitar Play-Along series will help you play your favorite songs quickly and easily! 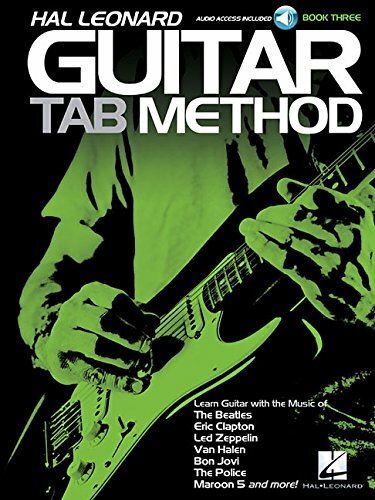 Just follow the tab, listen to the audio to hear how the guitar should sound, and then play along using the separate backing tracks. The melody and lyrics are also included in the book in case you want to sing, or to simply help you follow along. The online audio includes Playback+, a multi-functional audio player that allows you to slow down audio without changing pitch, set loop points, change keys and pan left or right. 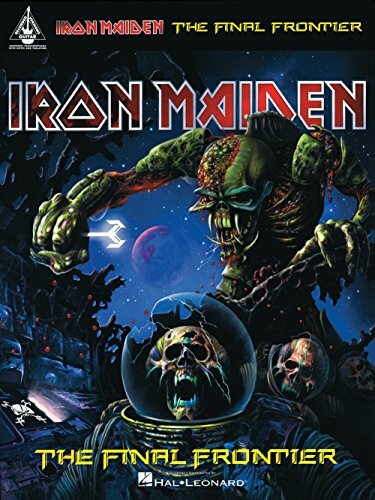 8 songs: Aces High * Flight of Icarus * The Number of the Beast * Run to the Hills * Running Free * The Trooper * Two Minutes to Midnight * Wasted Years. (Bass Recorded Versions). This book of note-for-note Steve Harris bass transcriptions is a must-have for any rock bassist. 20 classics, including: Aces High * Can I Play with Madness * Evil That Men Do * Fear of the Dark * Iron Maiden * No Prayer for the Dying * The Number of the Beast * Run to the Hills * Running Free * The Trooper * Wrathchild * and more. Note-for-note bass transcriptions of 20 classics. 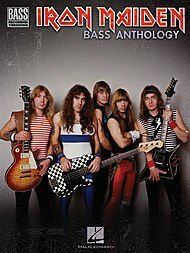 200 pages The Iron Maiden Anthology Bass Tab Songbook contains note-for-note bass transcriptions for 20 classics as played by Steve Harris. Includes lyrics and tab for "Aces High," "Can I Play with Madness," "Evil That Men Do," "Fear of the Dark," "Iron Maiden," "No Prayer for the Dying," "The Number of the Beast," "Run to the Hills," "Running Free," "The Trooper," "Wrathchild," and more. (Guitar Recorded Versions). 25 authentic transcriptions with notes and tablature from the extensive career of these British metal masters that first came onto the scene in 1975. Songs: Aces High * Blood Brothers * Can I Play with Madness * Caught Somewhere in Time * Children of the Damned * Dance of Death * Fear of the Dark * Hallowed Be Thy Name * Iron Maiden * The Number of the Beast * The Phantom of the Opera * Powerslave * The Prisoner * Run to the Hills * Running Free * Seventh Son of a Seventh Son * Stranger in a Strange Land * The Trooper * 22, Acacia Ave. * Two Minutes to Midnight * Wasted Years * Wasting Love * Where Eagles Dare * Wicker Man * Wrathchild. (Guitar Recorded Versions). 17 hits from these metal masters, including: Bring Your Daughter to the Slaughter * Evil That Men Do * The Number of the Beast * Running Free * The Trooper * Two Minutes to Midnight * and more. 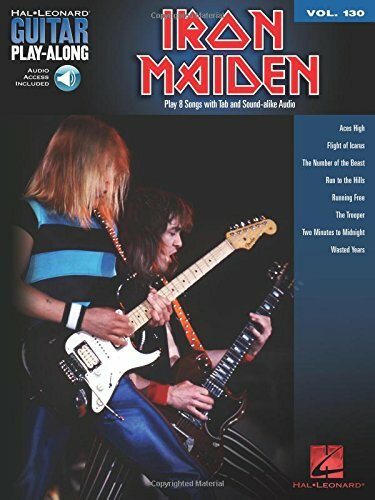 Iron Maiden - The Final Frontier Guitar Tab songbook. Note-for-note guitar transcriptions for the band's best selling 2010 release featuring 10 tracks: The Alchemist • Coming Home • El Dorado • Isle of Avalon • The Man Who Would Be King • Mother of Mercy • Satellite 15...The Final Frontier • Starblind • The Talisman • When the Wild Wind Blow. 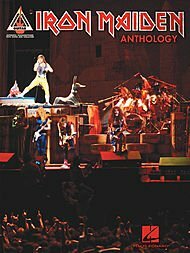 Iron Maiden Anthology (Tab Songbook). 17 hits from these heavy metal masters, including: "Bring Your Daughter to the Slaughter," "Evil That Men Do," "The Number of the Beast," "Running Free," "The Trooper," "Two Minutes to Midnight," and more. (Guitar Recorded Versions). Our songbook matching the 2006 release from these metal legends features notes & tab for all 10 intense tracks: Brighter Than a Thousand Suns * Different World * For the Greater Good of God * The Legacy * The Longest Day * Lord of Light * Out of the Shadows * The Pilgrim * The Reincarnation of Benjamin Breeg * These Colours Don't Run. 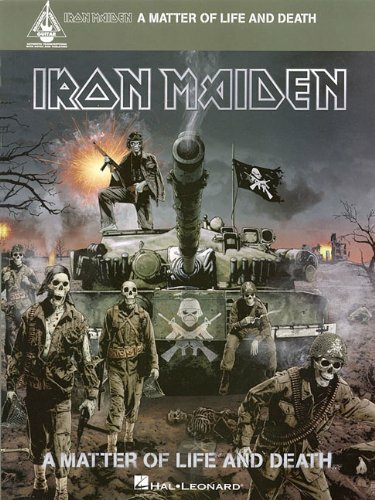 Looking for more Hal Leonard Iron Maiden similar ideas? Try to explore these searches: Knuckle Blaster, Cotton Batiste Camisole, and Enameled Bells. Look at latest related video about Hal Leonard Iron Maiden. Shopwizion.com is the smartest way for online shopping: compare prices of leading online shops for best deals around the web. 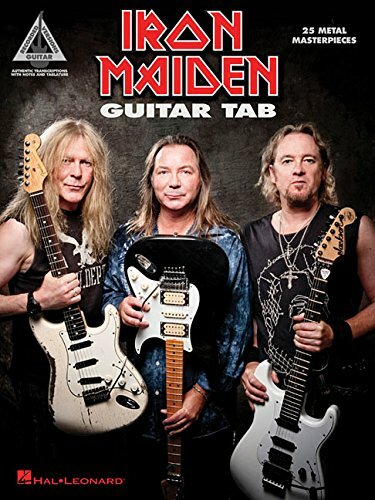 Don't miss TOP Hal Leonard Iron Maiden deals, updated daily.